MessageBird connects companies of all sizes to their users around the world, making business-to-customer communications feel as natural as communicating with a friend. We’re on a mission to modernize and simplify the overcomplicated space of customer communication. As the only leading cloud communications platform with its own telecommunications carrier infrastructure, our SMS, Voice and Conversations APIs continue to revolutionize company-customer interactions. Over 15,000 global customers rely on us to solve their communication challenges. We offer the world’s fastest, most reliable global communication, making contact easier, more efficient and accessible than ever before. 1. The only thing that we still have not grasped is how to link an API to a physical on-the-desk phone, or a WiFi phone so that inbound call can be both received, as well as diverted to mobile phones if there is no one to reply the main phone. No tutorials or guidance of wifi phone models provided, yet. Overall, I would recommend the system - easy-to-use, simple solution with helpful customer service. Some of their feature challenges are being addressed.The software is very easy to use. We use it in conjunction with our CRM platform, Zendesk, because we were looking for a system that would integrate with Zendesk easily without involving complicated engineering involvement. MessageBird fit the bill and has allowed us to engage in quite a few text outreach campaigns to customers (mainly transaction in nature, not promotional) at minimal cost and fuss - no engineers required. The system integrates fairly well with Zendesk (still some kinks) but it's workable. Time will will if MessageBird proves to be a good long-term solution, but they are working on their offerings. Their customer service is also very pleasant and very helpful, even through some technical challenges. The software is very easy to use. We use it in conjunction with our CRM platform, Zendesk, because we were looking for a system that would integrate with Zendesk easily without involving complicated engineering involvement. MessageBird fit the bill and has allowed us to engage in quite a few text outreach campaigns to customers (mainly transaction in nature, not promotional) at minimal cost and fuss - no engineers required. The system integrates fairly well with Zendesk (still some kinks) but it's workable. Time will will if MessageBird proves to be a good long-term solution, but they are working on their offerings. Their customer service is also very pleasant and very helpful, even through some technical challenges. The software is not as popular in the US as in Europe, which, especially early on, caused a few more issues setting up the system. There are also some areas where the system *appears* to be less robust than similar solutions in the texting space (like Twilio). There appears to be less flexibility in automation for sending out text messages and occasional system glitches. Their integration with Zendesk (perhaps other CRM platforms, too?) could be improved and lacks some basic features (they're working on it). None of the above, however, means it's not possible to message customers - just annoyances to cross over. The system still works, especially if you're interested in using MessageBird to test texting campaigns. Overall great experience. Will continue to use it for many years to come. Easy to train my staff on how to send out batch messages and reply. Easy to use by uploading excel files and sending mass text messages by selecting which columns are originator, message & receiver. Good visual on the incoming replies and visibility of the conversation thread of each message. Easy to add the number as a contact to the database. Easy to export the data onto excel. Easy to use by uploading excel files and sending mass text messages by selecting which columns are originator, message & receiver. Good visual on the incoming replies and visibility of the conversation thread of each message. Easy to add the number as a contact to the database. Easy to export the data onto excel. Need to have the ability to export onto excel the entire conversational thread per message/contact. The Messages do not batch together...they come on separate lines. They all need to continue on the same thread on the "SMS Overview" page. As mentioned above, Messagebird has allowed us to create a better overall customer experience by giving us the ability to proactively reach out to our customers via text in real time when we know about a time sensitive issue. Super helpful!Messagebird has been super helpful to us over at our company in New York City. It allows us to proactively reach out to our customers via text message on mass. No other company allowed us to have that same functionality and still offered a nice and easy to use user interface. We love it! Messagebird has been super helpful to us over at our company in New York City. It allows us to proactively reach out to our customers via text message on mass. No other company allowed us to have that same functionality and still offered a nice and easy to use user interface. We love it! I don't love that we need to split lists of numbers into smaller groups and send from different numbers. I wish that part could be handled via automation on the backend. MessageBird is a well-developed service and knowingly outperforming its competitors. It covers an important scope and thus the in-house team have performed well to cover the reliability, security and thus quality of its routing/communication. the API has an insightful documentation, guides and support for developers and my company have had no issues implementing and using the service. It seems that some people have had delayed experiences or have experienced a lack of promotion or communication from the CEO, personally the only improvement I can see is developing more features. -- there's also an issue with the form not submitting due to a lack of linkedin data pulled through (job title and organisation). Deliver SMS messages to every country in the world. Send and receive rich media (including images, video, audio and locations) to and from customers' mobile phones with MMS, RCS and chat messages. Anonymize calls between employees and customers to maintain their privacy and avoid the need to share contact details or identities. Calls can be recorded, with calls recordings automatically converted into text transcripts. Callers can also leave voice messages. Use RCS to enable suggested actions, which allow customers to perform a range of actions from within conversation threads, such as adding events to their calendar and saving tickets in their wallet app. The MessageBird API can be integrated within any website, app, or software. Below are some frequently asked questions for MessageBird. Q. What type of pricing plans does MessageBird offer? Q. Who are the typical users of MessageBird? Q. What languages does MessageBird support? Q. Does MessageBird support mobile devices? Q. Does MessageBird offer an API? Yes, MessageBird has an API available for use. Q. 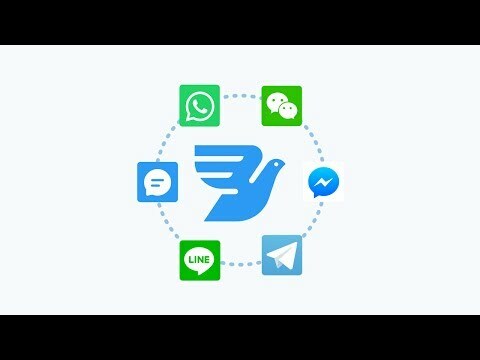 What other apps does MessageBird integrate with? Q. What level of support does MessageBird offer?